Iowa Workers’ Compensation for Amputation of Limb or Digit | Hupy and Abraham, S.C.
What Can You Recover After Losing an Arm, Leg, Finger, or Toe in an Iowa Work Accident? Whether you lose an arm, a leg, a finger, or a toe in a workplace accident, you may experience pain, significant medical needs, and a change in your ability to do your job. However, despite these commonalities, these losses are not compensated equally. 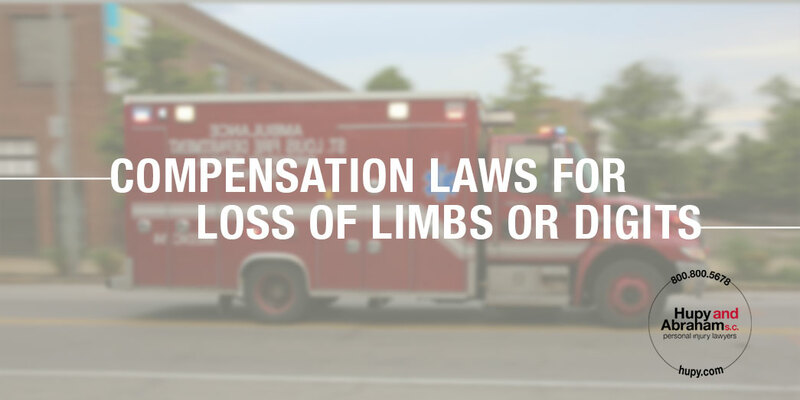 Regardless of what part of your body you lose (or injure) in an Iowa work accident, you have the right to have your medical expenses paid, and you may have the right to other workers’ comp benefits such as travel reimbursement and vocational rehabilitation. 250 weeks of benefits for the loss of an arm. 190 weeks of benefits for the loss of a hand. 60 weeks of benefits for the loss of a thumb. 35 weeks of benefits for the loss of a first finger. 30 weeks of benefits for the loss of a second finger. 25 weeks of benefits for the loss of a third finger. 20 weeks of benefits for the loss of a fourth finger. 40 weeks of benefits for the loss of a great toe (big toe). 15 weeks of benefits for the loss of any other toe. 150 weeks of benefits for the loss of a foot. 220 weeks of benefits for the loss of a leg. While the law is specific in the recovery that you may make, many workers’ compensation insurance companies will try to minimize your recovery so that they can maximize their profits. You have suffered too great an injury to get less than a fair recovery. Accordingly, we encourage you to do three things as soon as possible. First, contact your employer and inform your employer of the accident and your injury. Second, see the medical provider chosen by your employer. Third, contact our experienced workers’ compensation lawyers to make sure that all of your rights are protected and that you get the recovery that you deserve after an Iowa work-related injury. Contact us online or call us any time—any day of the week, any time of day— at 800.800.5678 to schedule a confidential and free consultation.